When World War II began, Texas held fewer people than New York City. According to one source, less than 40% of the population had a high school diploma, and only one in five owned a car. Furthermore, only one in ten had access to a telephone and one in six owned a radio. Folks were probably too busy operating the farms and ranches that peppered the state. By the end of the war, there were 175 major military installations and dozens of smaller ones. Over one and a half million trainees made their way through the state. 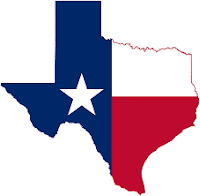 Texas was also home to sixty base and prisoner of war camps. 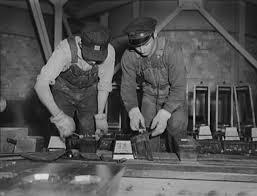 Manufacturing quadrupled to nearly two million dollars by 1944. From Port Arthur to Corpus Christi, a multitude of petrochemical plants dotted the Gulf Coast, producing millions of gallons of fuel for military equipment. The Gulf Coast also boast extensive shipyards in Beaumont, Port Arthur, Houston, Galveston, and Corpus Christi. Aircraft factories went up in Garland, Grand Prairie, and Fort Worth. The paper and wood-pulp industry was revitalized. The largest tin smelter in the world was in Texas City, and steel mills popped up in Houston and Daingerfield. Like many other states, Texas produced munitions by the truck-load. More than 500,000 Texans (men and women) moved to the big cities to work in these manufacturing plants to do their bit. Dennison, Texas is proud to be the birthplace of one of WWII’s greatest leaders, Dwight D. Eisenhower, and the National WASP WWII Museum in Sweetwater tells the story of the more than one thousand women who were the first females to fly military equipment. Over 750,000 Texans served in the armed forces during the war, over 22,000 of whom gave their lives. Thirty-three Texans were awarded the Medal of Honor (including Audie Murphy and Samuel Dealey, the most decorated army soldier and naval officer respectively). 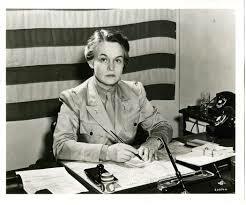 Born in Killeen, Oveta Culp Hobby, studied law before beginning a career in journalism. She went on to become the first secretary and first female secretary to the newly created Department of Health, Education, and Welfare, and later the first director of the Women’s Army Corps. Many wartime facilities still exist such as those at Fort Sam Houston and Fort Bliss, while other sites have been abandoned or forgotten that were once air bases, factories, enlistment centers, and USO canteens. Have you visited any WWII sites in Texas?